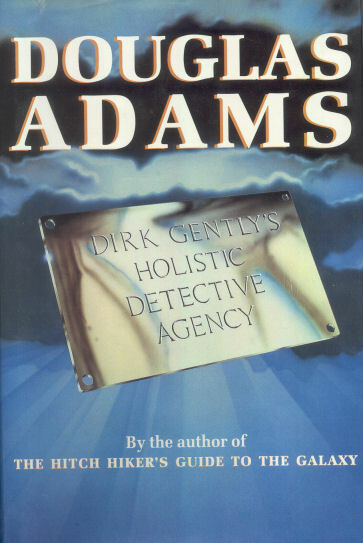 Stephen Mangan is set to play detective Dirk Gently in BBC Four drama based on Douglas Adams’ cult novel. Stephen Mangan (Free Agents, Green Wing) has been announced to play Douglas Adams’ eccentric detective Dirk Gently in a new BBC Four drama based on the author’s cult novel, Dirk Gently’s Holistic Detective Agency. He is joined by Darren Boyd (Royal Wedding, Little Dorrit) as his unwitting sidekick Richard Macduff and Helen Baxendale (Cold Feet, Friends) as Richard’s girlfriend Susan in the adaptation by Bafta-winning Howard Overman (Misfits, Vexed, Merlin). When Dirk sets out to solve an apparently simple and harmless disappearance of a cat from an old lady’s house, he unwittingly uncovers a double murder which, in turn, leads to a host of even more extraordinary events. Dirk Gently is being produced by ITV Studios in association with The Welded Tandem Picture Company and will be directed by Damon Thomas (The First Men In The Moon, Crooked House) and produced by Chris Carey.